Pets, just like humans, can also experience various medical conditions that can make them uncomfortable and sick. And for pet owners, a situation like this shouldn’t be ignored but must be treated properly. In some cases just like for humans, essential oils might just do the trick. Scientifically, plants produce essential compounds to protect and help them adapt to their environment. These plant oils are among the many elements that help them to fend off pests and to attract pollinators and more. Through a distillation process, these compounds are turned into essential oils. Since ancient times, essential oils have been used as a topical treatment to assist in the healing process and for therapeutic purposes. They have been used to reduce anxiety, inflammation, harmful pathogens, and fight off toxins. The various scents also can have significant positive effects on the mental state of a person. 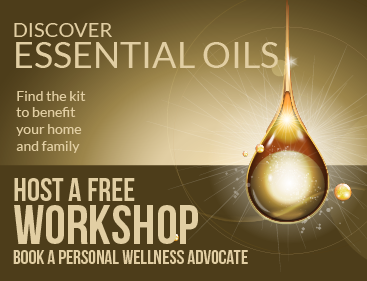 Even today scientists continue to study the beneficial impacts of essential oils. How Can Essential Oil Benefit Your Pets? Spearmint – This oil is exceptional for diarrhea and nausea. It also helps balance metabolism. This oil is can be beneficial for cats who suffer gastrointestinal issues. Lavender – Lavender oil is considered universal. It is an excellent remedy for poor concentration, anxiety, insomnia, and some even say for hair growth and health. Eucalyptus – Eucalyptus oil is a potent biocide. It is has herbicidal, antimicrobial, and nematicidal effects. It also a insecticidal which helps in killing insects and an acaricidal which helps fend off mites and ticks. This type of essential oil is also excellent for respiratory health. Inhaling its aroma can help relieve congestion and cough. Helichrysum – This oil is excellent for helping to heal damaged skin. It also works as wound disinfectant and can help stop help stop bleeding in minor cases. Cardamom – This is a great help for nausea, coughs, and heartburn. Note that some high phenol oils such as Oregano and Thyme are not suitable for animals. There are dozens of oils available for all kinds of applications. Here are several guides and products to get you started in your journey to using essential oils for your pets. This book covers more than 50 common health conditions in cats and dogs. Each section describes the ailment and offers easy directions for treatment using essential oils. This unique guide not only helps keep pets healthy but also offers a complement to traditional veterinary care. Essential Oils for Pets The Ultimate Guide for Amazingly Effective Natural Remedies for Dogs and Cats!teaches you how essential oils work on animals and how to introduce them to your pets. It explains the safety tips and procedures you should follow when applying essential oils to animals. Written by Holistic Veterinarian Melissa Shelton – describing the many ways that Essential Oils are used for animals – especially pertaining to the French Model of Aromatherapy. My Peaceful Paws is an essential oil blend supporting your dog in feeling calm. It is used for dogs dealing with anxiety, fear of thunder, fireworks and loud noises, performance nerves, anxiety around strangers, new places, and unfamiliar settings. The Spicy Saver blend essential oil is inspired by the story of French thieves who would cover themselves with cloves, rosemary, and other aromatics while robbing people during the plague. Essential Oils for Dogs: A Complete Guide of Natural Remedies is an excellent encyclopedic resource for beginners. Written in a simple, easy-to-understand style, your dog will immediately benefit when you put the knowledge to use. Although oils have valuable effects on pets, proper usage of essential oils is still a crucial part of taking care of your pet since not all pets will react the same to the oils. To avoid such problems, here are a few quick tips how to appropriately use essential oils for pets. And as mentioned be sure to check with your veterinarian before getting started and also check with the essential oil manufacturer. Animal senses are ten times more sensitive than humans. Because of this, using essential oils can make your pets uncomfortable if not properly applied. To avoid these issues, start first by diluting and applying the oils very moderately. Carefully watch your pet’s reaction every time you apply the oil too to determine if it is working or it makes your pet feel uncomfortable. Because animals are highly-sensitive, it is important to let them be comfortable with the oils you are planning to use for them first. To do it, consider wearing the oil on yourself first. Do it while you are working or playing with them. Or if you prefer, you can also spray a small amount of it in their space and let them get used to the smell. The count of drops varies on the size of the pet. If your pet is small like cats, puppies or small breed dogs you will only need a couple of drops. For larger pets such as large breed dogs you may need more. Be sure to read the label of your oils and follow any dilution procedures – this is very important as undiluted oils can be toxic. For extremely large animals such as horses or cattle you will want to get specific guidance. It also doesn’t need dilution unless otherwise stated on the product label. The guides listed above can also help you with your specific type of animal. When getting started with essential oils for your pet, make sure to seek the advice of experts first because our special loved ones are extremely sensitive. When applied properly you to may see the many benefits for your beloved pets as well!